Sure, it sounds like a lot of work. We can't do much with your strength training routine but we can give you the look of super strength when you go in this costume. 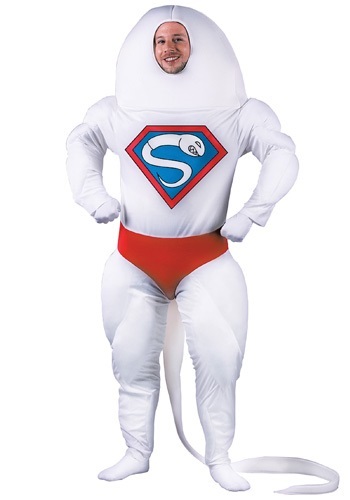 With the polyfoam padded muscle effects, this suit is sure to have you feeling like the strongest sperm there ever was. The options for where you can wear this costume are endless or extremely limited depending on how concerned you are with people getting mad at you. Showing up to the hospital while your first child is in the process of being born? Perfect, in our opinion but we're writing from the point of view of a costume company so what can you expect?